Bob Brown’s and Julia Gillard’s endless tirade about thermal power stations being dirty and emitting black smoke from their chimneys, polluting the atmosphere and creating catastrophic Global Warming, oops climate change, now, has hit a new low. 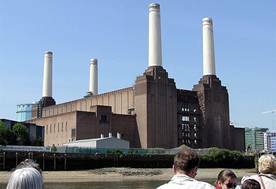 When they tried to foister on to us the photos of Battersea Power Station in London, that has been closed for over thirty years and only a shell, as a polluting Australian power station they proved what deceitful and corrupt ‘individuals’ they and their Green cohorts are. Even the smoke was superimposed on the picture. 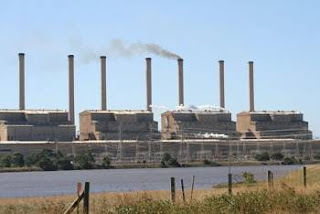 If you look closely you will see it is cockeyed on some of the chimneys. Also it would never have emitted that much smoke. These people, Gillard, Brown, Milne and the rest of the Labor and Green party are so desperate to push their carbon tax that they will resort to ANY measures to achieve what they want and are desperate to stay in power. The most brilliant propagandist technique will yield no success unless one fundamental principle is borne in mind constantly - it must confine itself to a few points and repeat them. 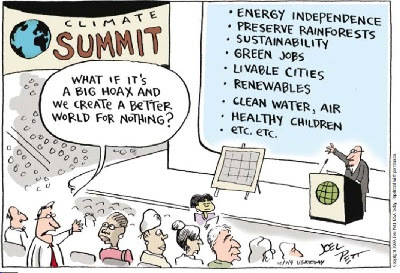 Do these seem familiar- they should do they follow this philosophy to the letter, pushing the biggest scam the world has even seen. Any businessman will tell you if they tried to sell their product on TV, with these sort of lies and deception the ACCC or Fair Trade Practices Commission would have them locked up and fined heavily for their deliberate distortion and lies. AND rightly so. Yet these liars are allowed to get away with it. WHY? 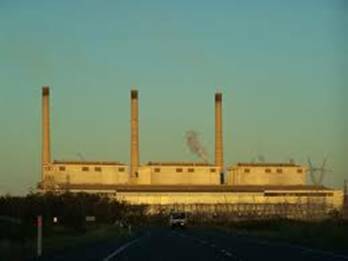 To put to rest the lies about the emissions from modern power stations, I have listed photos and information below of many major modern power stations in Queensland, N.S.W and Victoria. 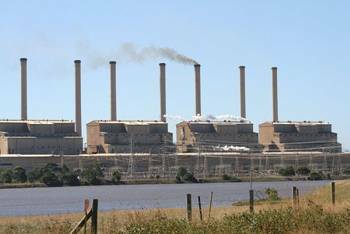 Note how little smoke or pollution is coming from the power station stacks. 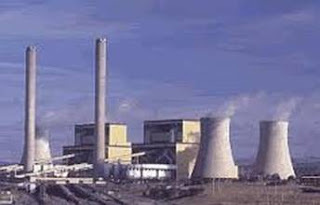 The Power Stations are under full load or close to it. Bayswater has one unit shut down at the time. 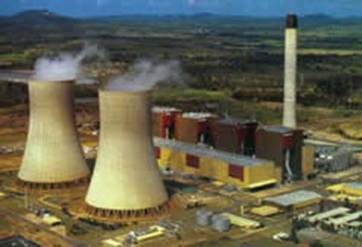 The cooling towers are the large round cylinders with vapour rising from them. The condensation rising from them is as pure as most drinking water with a conductivity of 350 to 450 micro mhos. Similar to tap water. Notice how the condensation finishes to nothing, NOT falling on the ground. These are no different to normal clouds. 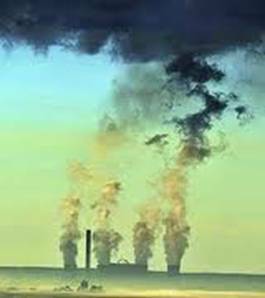 Clouds-- that ‘other’ 97% of so called Green house gases. Without them there would be NO rain and a virtually dead planet. i.e. no water— no life. One person tried to say they were full of mercury and other poisons. This is the sort of rubbish they try to lie about. The same person, a member of a zero emissions website who are pushing wind generators, compared carbon dioxide with cancer cells !!!!! Another compared it to arsenic. You decide what you think of them.!!! 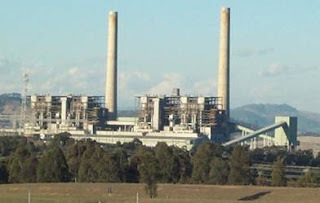 Bayswater Power Station – 4 x 660 Megatts units. 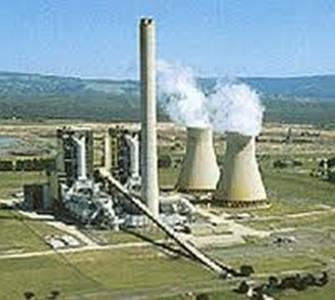 Black bituminous coal; Condensate cooling; Cooling Towers. One unit off line. Eraring Power Station- 4 x 660MW Units. Black bituminous coal. 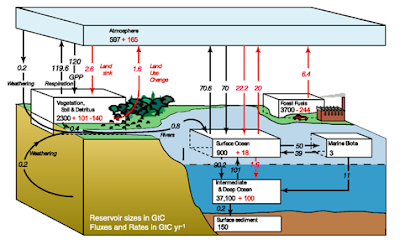 Condensate cooling; Lake water. Wallerang C Power Station . 2 x500MW units. 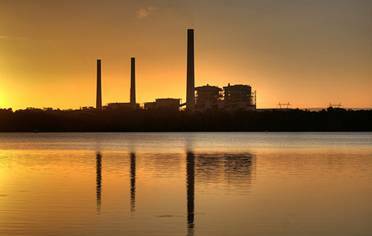 Stanwell Power station near Rockhampton. 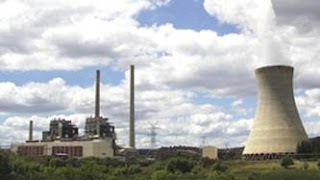 Kogan Creek Power Station. 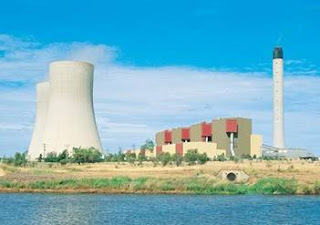 1 x 750MW unit. Black bituminous coal. 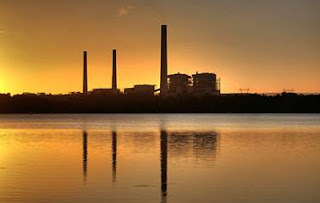 Gladstone Power Station. 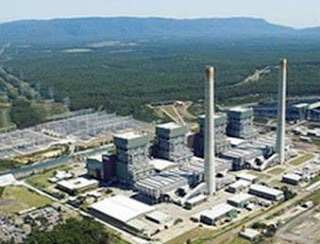 6 x 280MW units. Black bituminous coal. Condensate cooling; Lake cooling. 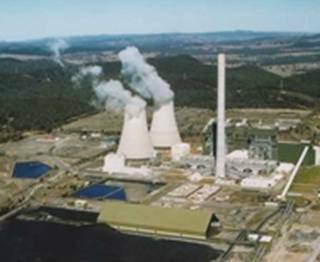 Milmerren power station – 4 x 440MW unitsBlack bituminous coal. 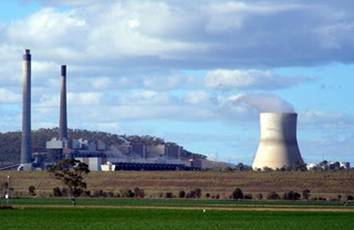 Hazelwood Power Station. 8 x 200MW units. 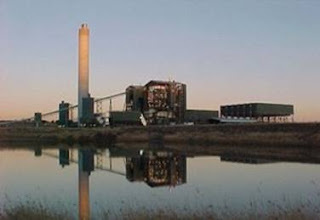 Brown Coal. Condensate cooling ; Lake cooling. 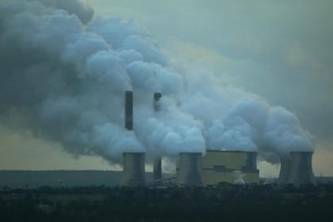 This is how the greens altered the photo to make it look like massive pollution. They are corrupt to the core. 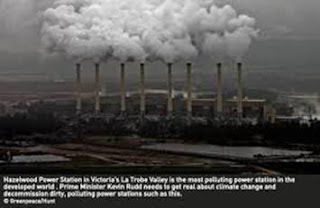 This is what the Greens do to a photo to tell lies. 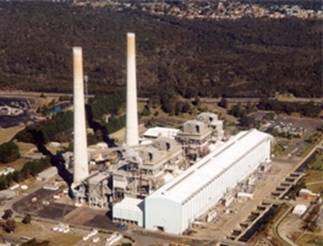 Same power station at full load. The photos have been ‘doctored’ to make it look bad. Compare the difference. Loy Yang A photos doctored by a Melbourne newspaper. Notice how the black smoke and clouds appear from no where. The black ‘smoke' does not even reach the chimneys. A very poor effort. The white clouds are pure evaporation from the cooling towers. 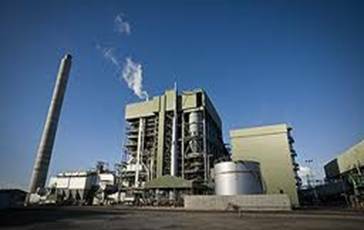 There are other power stations but those above serve as a clear example of how clean power stations really are. The length the Greens will go to is nothing but deliberate lies and deceit. Altering photos to make them look bad. The word treason would suit them very well. Terry worked in power stations for 25 years, rising from an apprentice and fitter to power plant operator. 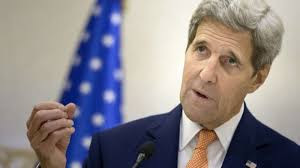 He says the hysteria about harmful emissions from burning coal stems from the spreading of misinformation and he wants to set the record straight. Somewhat off topic: Goebbels never said that. Any reference he made to the "big lie" was about Jewish and English propaganda during WW2. I guess the point still stands. 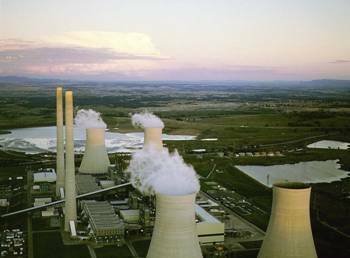 On topic: The pictures of the power stations are fascinating.